You know the old adage of making a good first impression. Nowadays, not all first impressions make lasting ones. Until, you get a pleasant surprise. Which is what Kings Dominion has done. 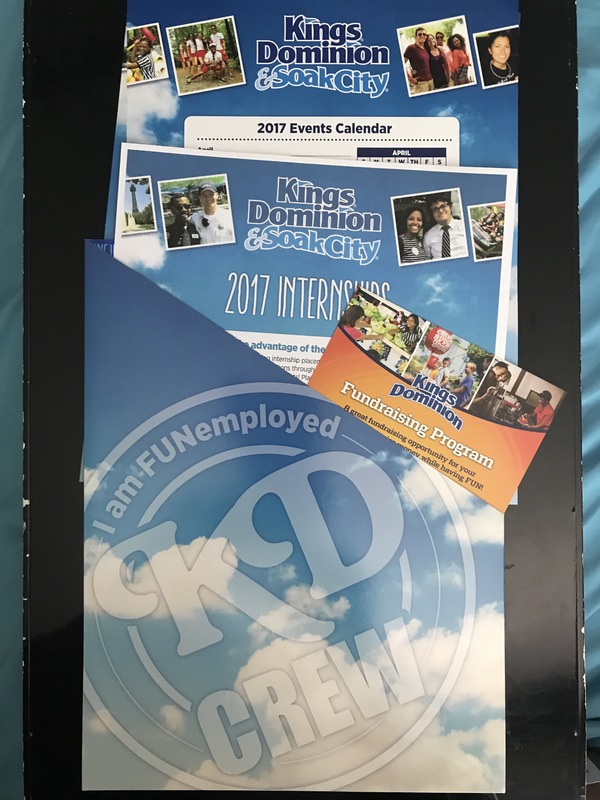 Since we moved to our new area our son has wanted to work for Kings Dominion. So, finally this season he was fortunate to have been hired. Though, background, he began applying back in January- February to “beat out” the college kids. His first job, at a majot amusement park for a major company. He went through the steps and procedures, and is now happily employed. But here’s where the pleasant surprise comes in. I recently received an email from the offices of Kings Dominion. Okay, the email was actually an invitation to a “Parents Ooen House”, specifically for those who are parents of minors working at Kings Dominion. I was very surprised- this was not a common thing. So I RSVP’d immediately. The day of we gather at Human Resources and are led to the Theater and handed a packet. It was filled with various brochures, and a cute car magnet! The large brochure was what the new hires received. As the evening progressed we heard from a few of the directors and learned a little more about the heart of Kings Dominion. And an insight to other material in the packet. To complete the evening we were brought to were the employees have their lunch/dinners. Yes, there were refreshments! But more importantly all the directors that were on the stage and in the video were there to answer any of our (the parents) questions. 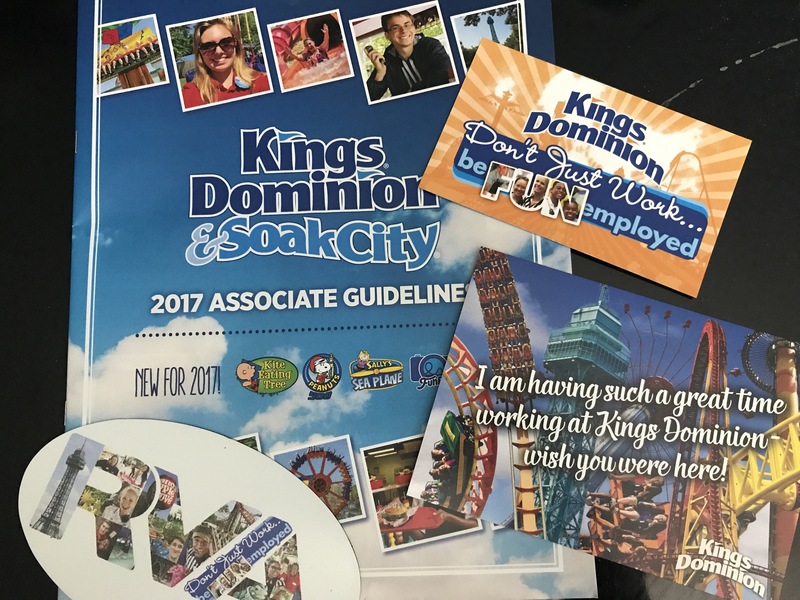 This was refreshing and impressive to have a company/ organization as large as Kings Dominion taking the time to let us know them. It was more than just “we’re the employer, this is how it goes”. It was more of this is our family, let us meet yours. 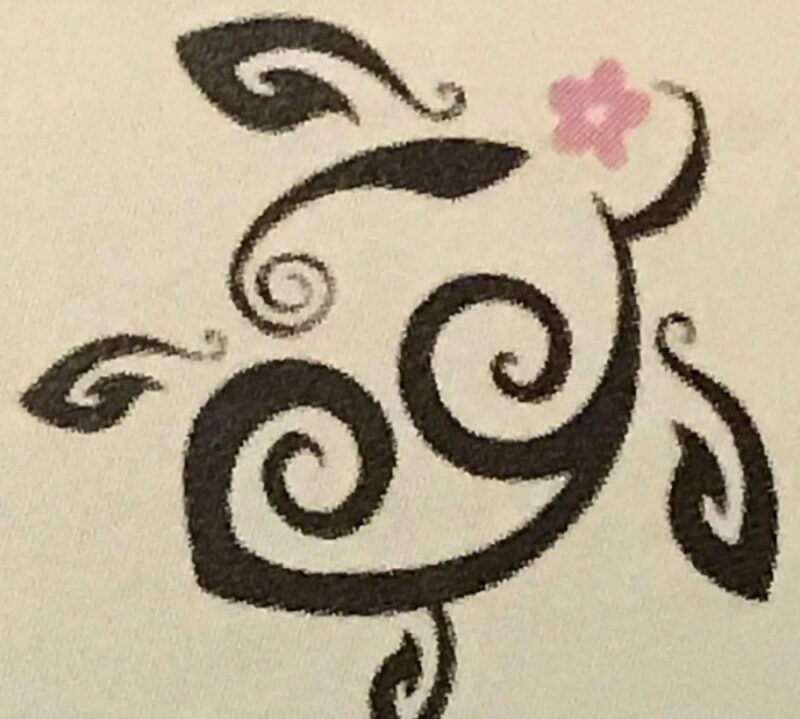 We hope the best for all the new hires, our children, and may they all grow with more knowledge and opportunities as their working journey begins!